All India Services – Medical Attendance – Reimbursement of medical expenses to All India Service Officers borne on the cadre of Andhra Pradesh (both serving and retired) – Orders – Issued. Time and again representations are received from the All India Service Officers and All India Service Pensioners that they are facing difficulty in getting reimbursement for the expenses incurred by them on medical treatment and requested for removal of monetary limits for reimbursement and simplification of the procedures for seeking reimbursement. 2. Rule 7 of All India Services (MA) Rules, 1954 states that every member of service shall be entitled free of charge to treatment in a Government hospital in headquarters or a hospital other than Government hospital in headquarters or anywhere in the State or outside the State and all the expenses shall be reimbursed upon certification by the Authorised Medical Attendant. 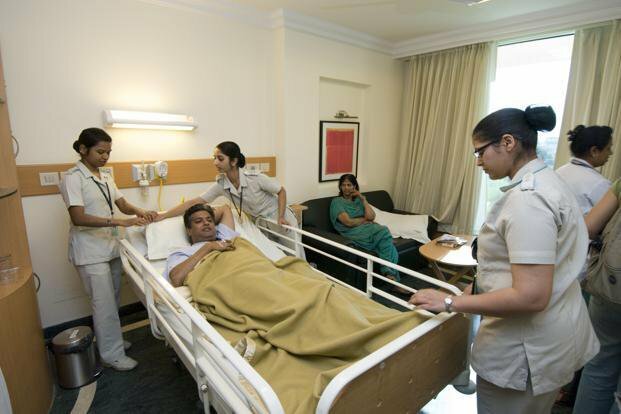 Rule 4 of All India Services (MA) Rules, 1954 states that members of the family of the Member of Service shall also be entitled to medical attendance and treatment. In Government of India, Ministry of Home Affairs letter No. 7/2/65-AIS (III), dated 20.4.1965 no limit on the amount of reimbursement by the controlling officer is prescribed. In Government of India, Ministry of Home Affairs Letter No. 7/10/63-AIS (III), dated 10.08.1964 it is clarified that cost of medical treatment taken from a private practitioner can be allowed by the State Governments. However, in the orders issued by the State Government, certain ceiling limits have been fixed on the treatment received by the State Government employees and the same limit was extended to AIS Officers also. (i) Applicability of APIMA Rules, 2917: The APIMA Rules, 1972 will be applicable to All India Service (AIS) Officers and pensioners only to the extent to which those rules are not inconsistent with the AIS (MA) Rules, 1954 or these regulations. (ii) Eligible hospitals: All India Service officers and pensioners and their family members shall be eligible for taking treatment in any private hospital or clinic registered in respective State under the Clinical Establishment (Registration and Regulation) Act or recognized by the State, including Eye and Dental treatment without the need for any prior referral from any State Government hospital. (iii) Ceiling limits not applicable: Ceiling limits for various treatments including Eye and Dental treatment shall not be applicable to AIS Officers and Pensioners and their family members. (iv) Entitlement for full reimbursement: All India Service Officers and pensioners and their family members will be entitled for full reimbursement of medical treatment including dental and eye care treatment. (v) Family members: the words Officers and Pensioners shall also include their family members. -Medical Officer in Secretariat Dispensary. -Any Civil Surgeon at District Head-quarters hospital. Any Civil Surgeon at Division Headquarters hospital. -Medical Officer attached to the Organization. -Any Civil Surgeon at District Headquarters hospital. (ii) In case of treatment received under Indian System of medicine, viz., Homeopathy, Ayurveda, Unani etc., Authorised Medical Attendant shall be the Medical Superintendent of the hospital concerned. (iii) NTR Vaidyaseva Trust may also scrutinize any of the medical bills in the table above and certify the reimbursement amount without the need for a Medical Officer. (iv) The Chief Secretary to Government may time to time notify additional Medical Officers within the State or outside the State for scrutiny and certification of bills. He may also issue guidelines for ease of reimbursement procedure from time to time. Secretary to Government in-charge of OP of the Secretariat Department concerned. AIS Officers working outside State capital in the districts. -IPS Officers working at Head of the Department Office or Regional Offices or Range Offices other than DGP (HoPF). -IFS Officers working at Head of the Department Office or Regional Offices or Zonal Offices other than PCCF (HoFF). Secretary to Government (Political), G.A.D. (ii) There shall be no monetary limit for sanction by any Sanctioning Authority. (i) Upon receipt of claim from the officer or pensioner, the Sanctioning Authority shall refer the medical claim within three days to a Bill Scrutiny Authority. (ii) The Bill Scrutiny Authority shall scrutinize and return the Bill within 7 days from the date of receipt of the claim. (iii) Alternatively, the Officer or Pensioner may get their medical bill scrutinized on their own from a Bill Scrutiny Authority and submit to the Sanctioning Authority. (iv) The Sanctioning Authority shall issue the orders within seven days of submission by the Officers or Pensioner where there is no relaxation of rules. In cases where relaxation of rule is involved, orders shall be issued within 30 days. (v) Exclusive Section (s) will be created for this purpose if the volumes are high in number such as in General Administration Department, Offices of the Director General of Police / Principal Chief Conservator of Forests. (vi) The Chief Secretary to Government may from time to time amend the procedure to enable easy processing and settlement of claims. 4. These orders shall come into force with immediate effect. 5. This order issues with the concurrence of Finance Department vide their U.O. No. 42028/418/2017-FMU-HM&FW, DT.01/12/2017.